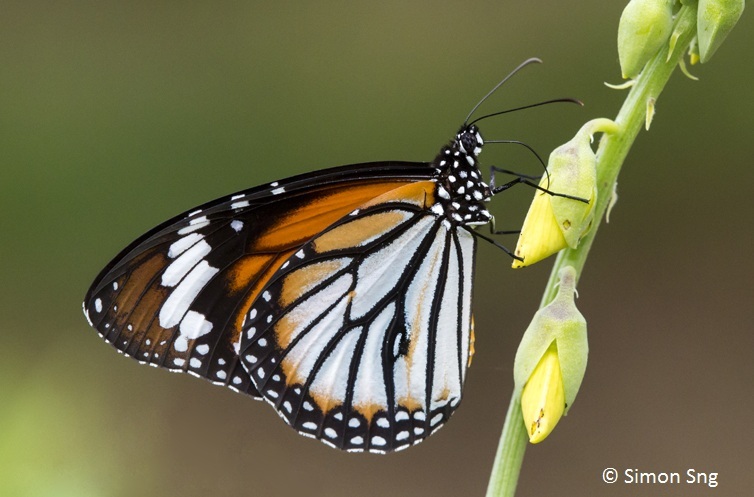 This 7th instalment of our Butterflies' Larval Host Plants series features Cratoxylum cochinchinense (Yellow Cow Wood), a species of the family Hypericaceae (St. John's-Wort Family). 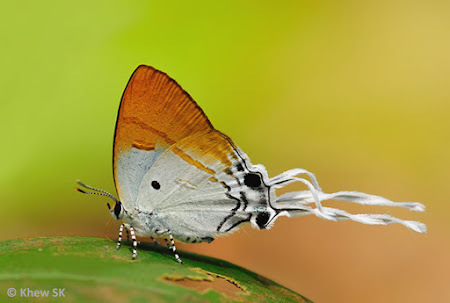 The species name "cochinchinense" has the Latin meaning "of Cochinchina" which refers to the region comprising the southern third of Vietnam. 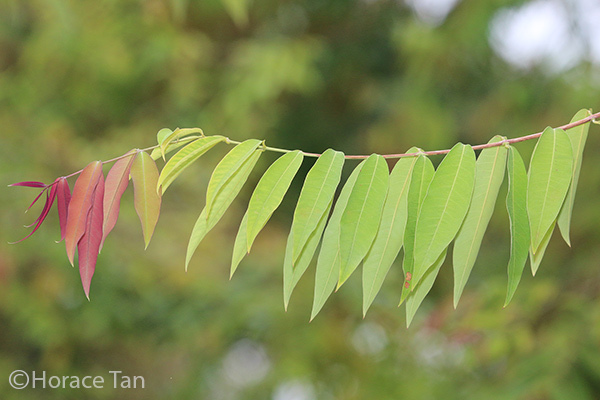 Across Southeast Asia and Southern China, C. cochinchinense has been found to grow in multiple habitats including primary and secondary forests, grasslands and woodlands etc. 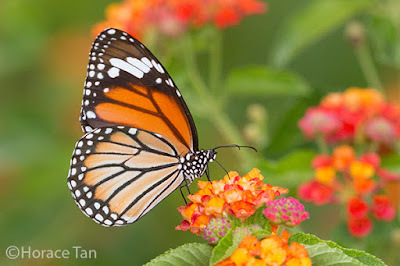 In Singapore, it is more likely to see it being cultivated in parks and gardens as ornamental plants. 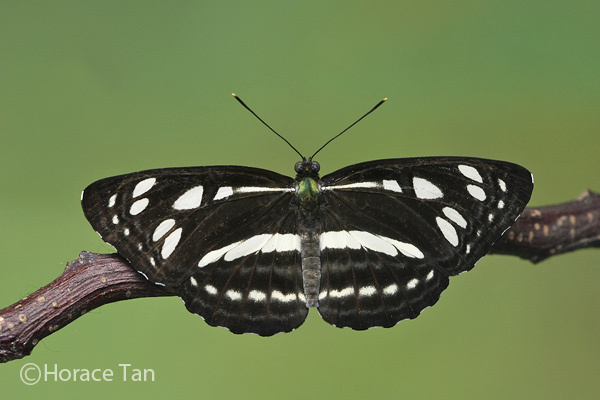 Individual wild specimens can also be found in the Central Catchment Reserve and Bukit Timah Reserve, and a number of other locations. 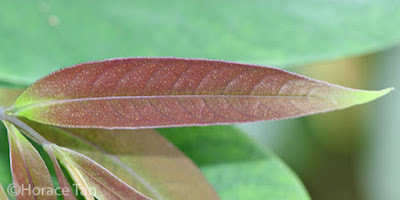 Various parts of the plant have found uses in different aspects of human lives. 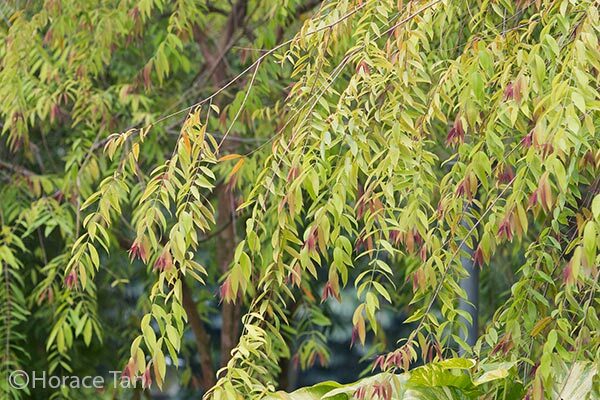 One example is in Traditional Chinese Medicine: The roots, bark, and twigs are used a medicine for treating cold and diarrhea. Synonyms : Hypericum cochinchinense, Ancistrolobus ligustrinus, Cratoxylum biflorum, C. chinense , C. ligustrinum, C. petiolatum, C. polyanthum. 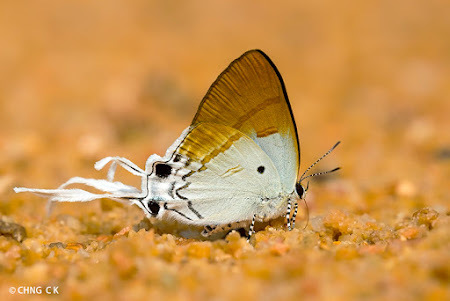 Larval Host for Butterfly Species: Eurema hecabe contubernalis (Common Grass Yellow), Lexias pardalis dirteana (Archduke), Phaedyma columella singa (Short Banded Sailor). 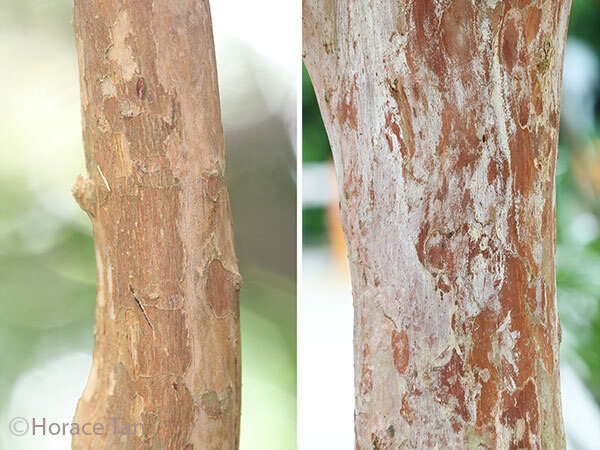 Left: A cultivated Yellow Cow Wood in the car park at Dairy Farm Nature Park. 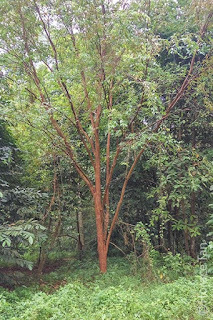 Right: A wild Yellow Cow Wood in the Bukit Timah Nature Reserve. 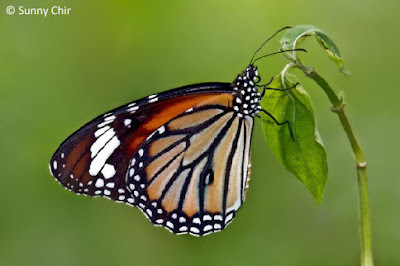 Note the distinctive orange-brown trunks. 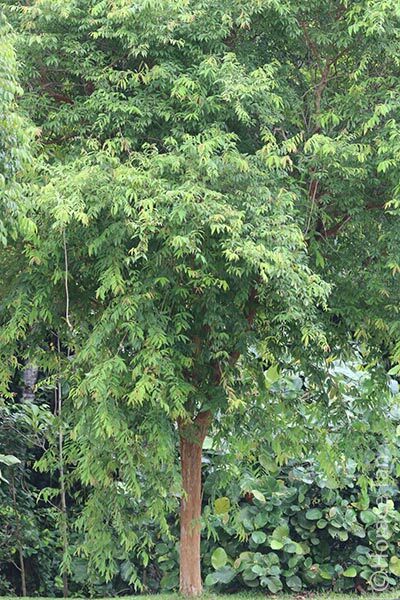 Yellow Cow Wood is a deciduous plant occurring in either shrub or tree form, with the latter ranging from 1.5m to 18m tall, occasionally up to 33m tall. The bark is smooth, grey-brown to orange-brown, and is a source of a brown dye. 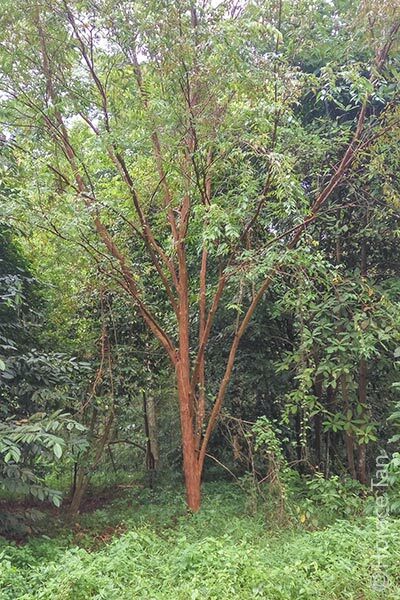 The trunk is hard and durable and is harvested for timber usage when the tree has grown to a suitable size. Closer view of the orange-brown trunk of two Yellow Cow Wood tree. 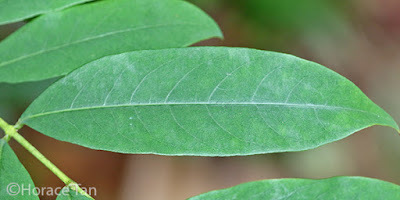 The leaves are elliptic or lanceolate in shape, 3-10cm in length and 1-4 cm in width. They are oppositely arranged. 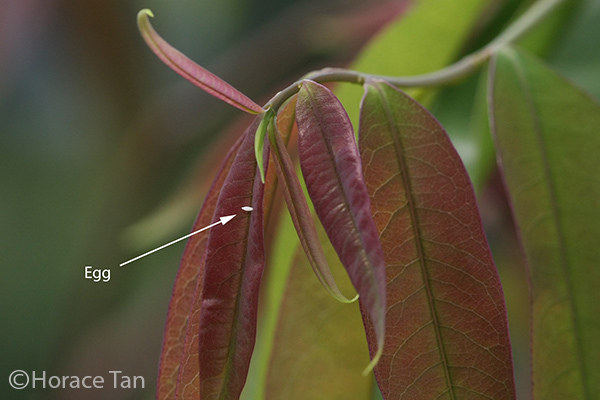 Young leaves are initially reddish, then turning reddish brown, yellow green to grayish green when fully developed. In some places, young shoots are eaten as raw vegetable, and young leaves are used as a substitute for tea. 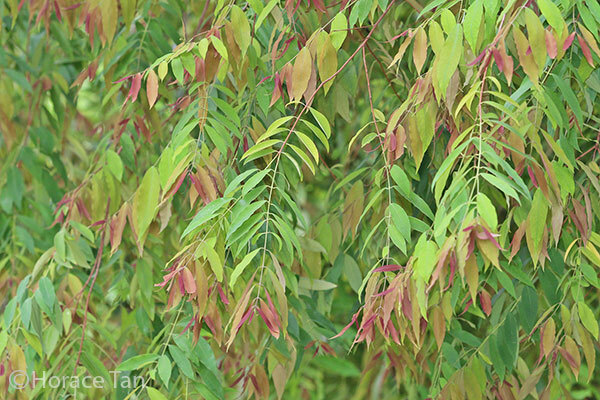 Drooping branches of Yellow Cow Wood showing leaves in various stage of development. 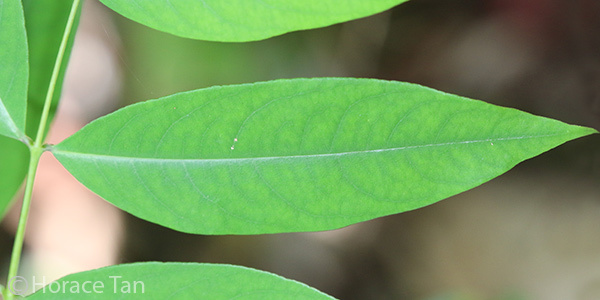 A closer view of a leaf branch of Yellow Cow Wood showing leaves in various stage of development. The opposite arrangement of leaves on a branch. Flowers of the Yellow Cow Wood are small, 1-1.5cm in diameter, dark red to pink, and occur in axillary or terminal cymes. 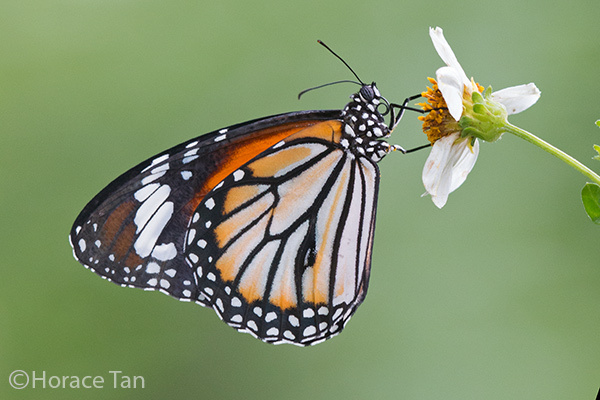 These bisexual flowers attract insects such as bees and hoverflies to act as pollinators in the reproduction process. 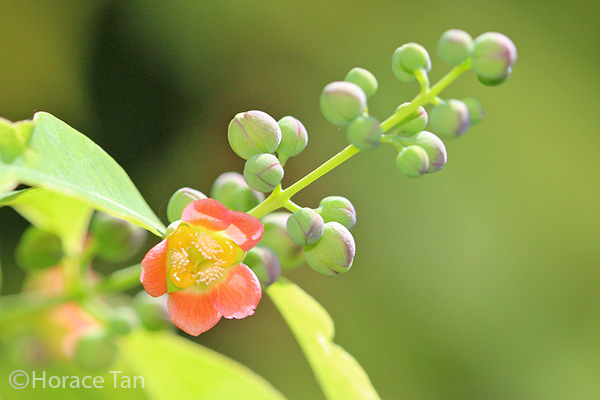 Flower buds and a flower of the Yellow Cow Wood. 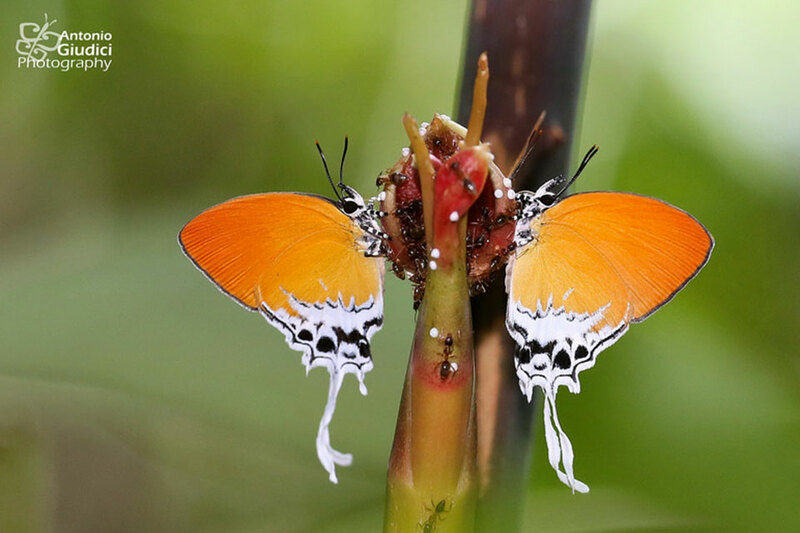 Cymes bearing blooming flowers of the Yellow Cow Wood, with a visitor. 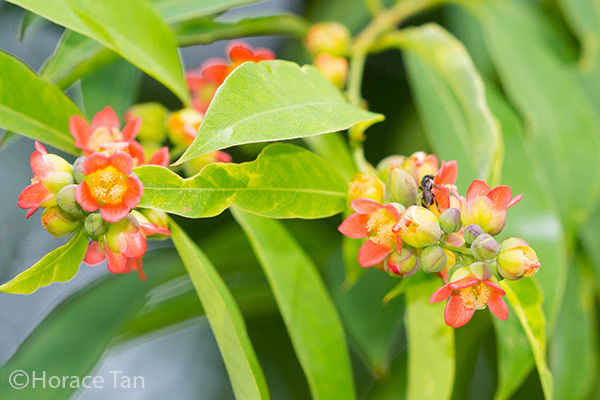 A closer view of flowers of the Yellow Cow Wood. 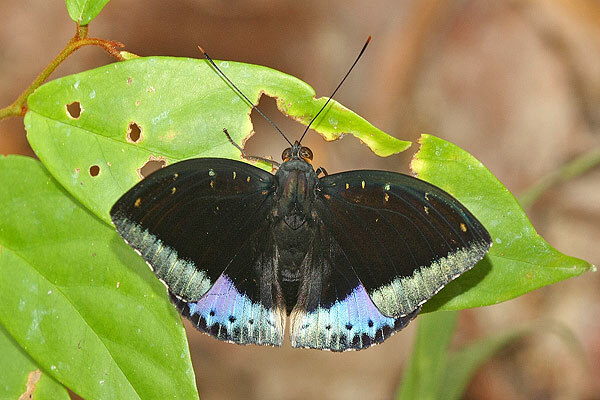 Fruits are small, up to 1.2cm long. 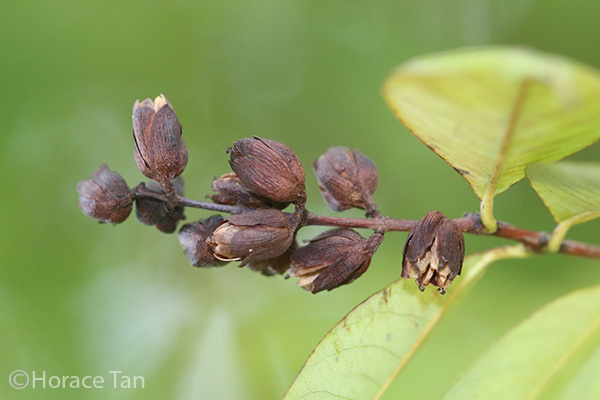 The young fruits are green in colour and are used as a spice for cooking. Mature fruits are dark brown. 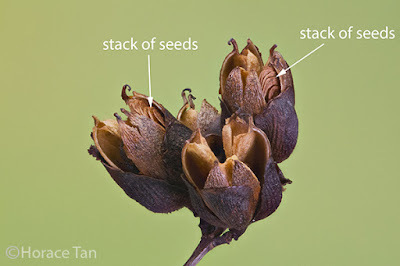 When ripened, the fruit opens up to reveal three seed-bearing loculi. Each loculus contains 5-8 seeds which are unilaterally winged. 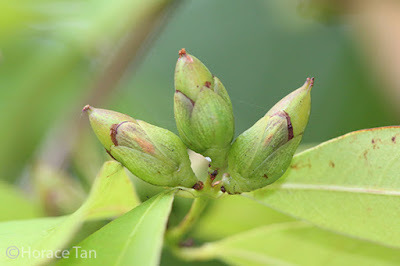 Young fruits of the Yellow Cow Wood. Mature fruits of the Yellow Cow WOod. Close-up view of ripened fruits of the Yellow Cow Wood, with stack of seeds indicated. 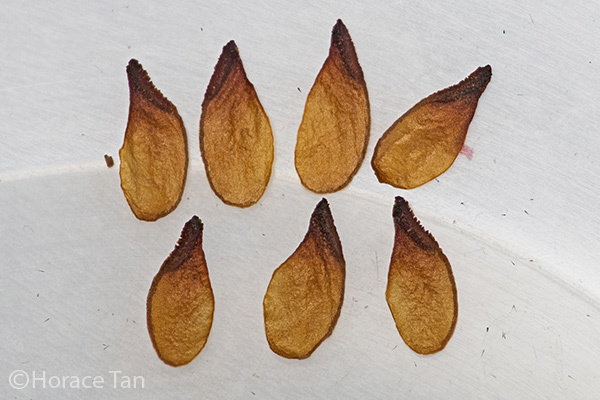 Seeds of the Yellow Cow Wood. 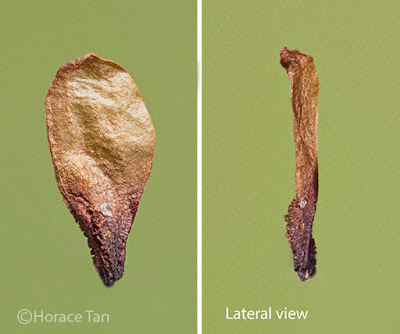 Close-up views of a seed of the Yellow Cow Wood. 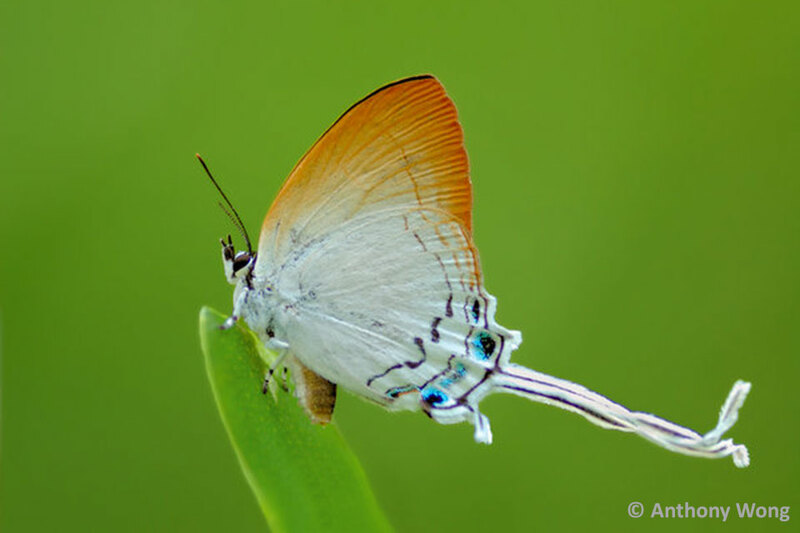 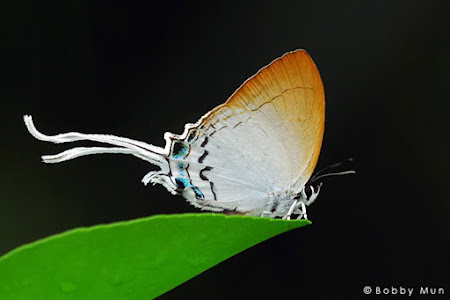 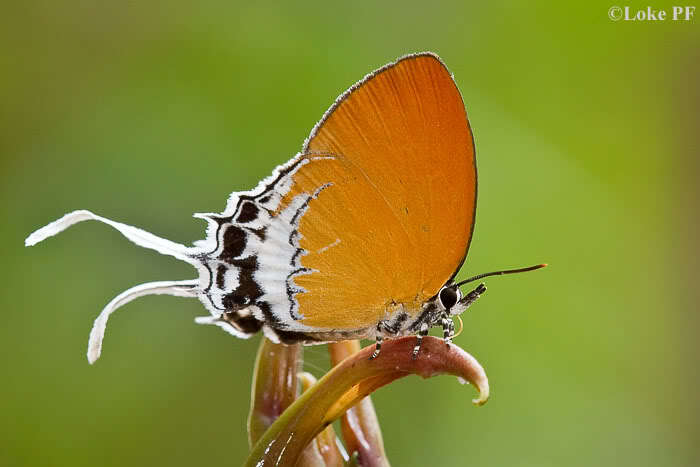 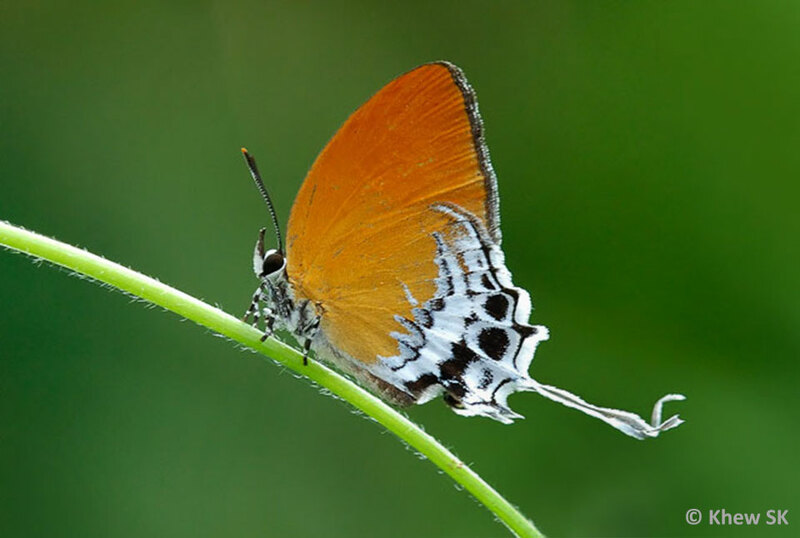 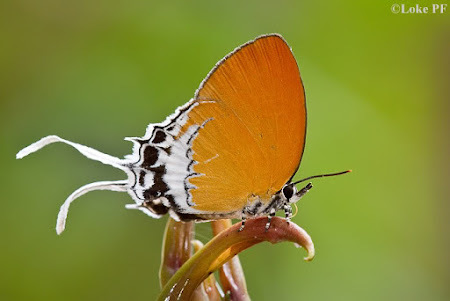 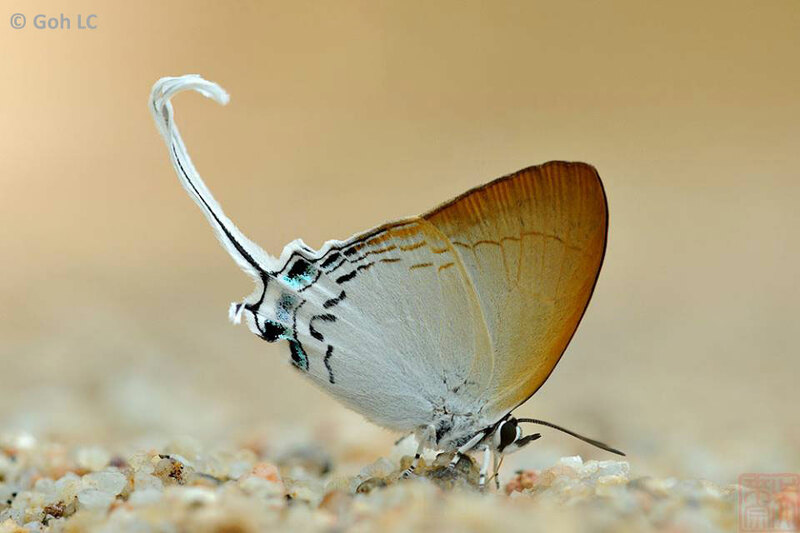 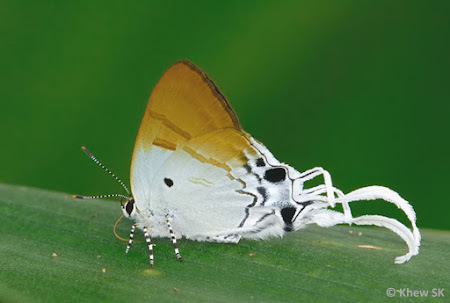 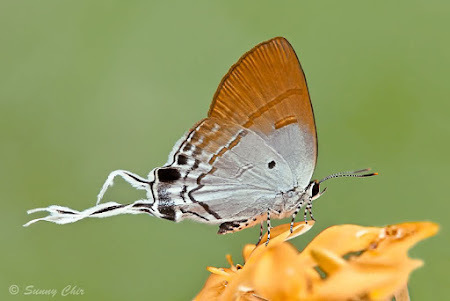 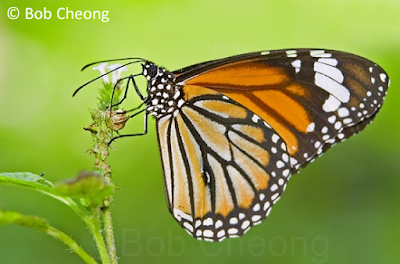 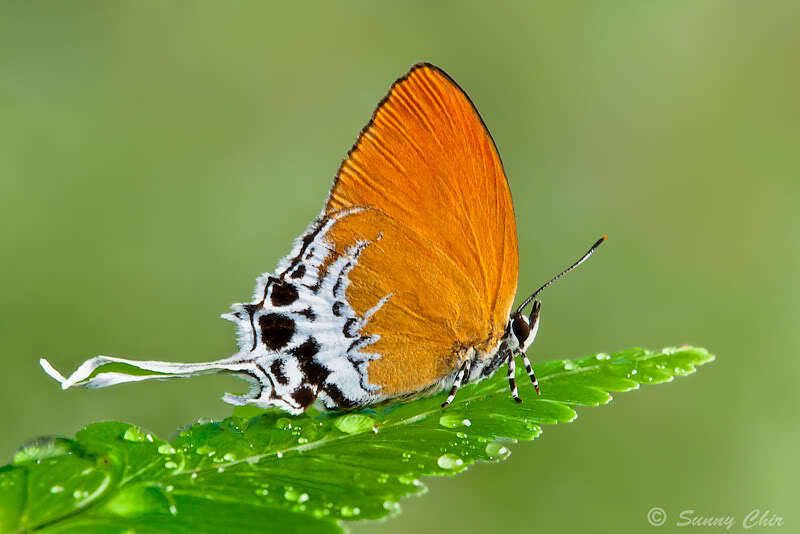 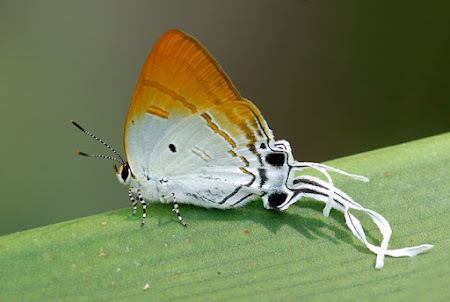 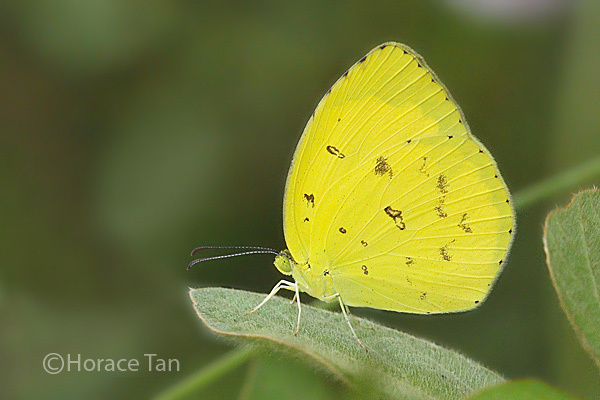 In Singapore, the Yellow Cow Wood also serves as the larval host plant for three butterfly species: Common Grass Yellow, Archduke and Short Banded Sailor. 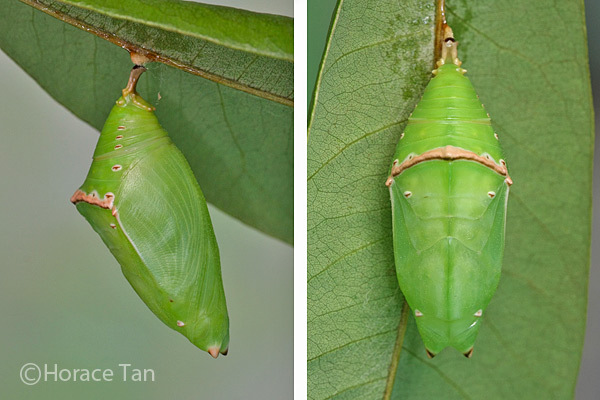 The first is a Pierid and the last two are Limenitid. Eggs of the Common Grass Yellow are laid on the reddish young leaves of the Yellow Cow Wood, whereas those of Archduke are laid on leaf surface (both upper and undersides) of both young and mature leaves. In contrast, eggs of the Short Banded Sailor are typically laid at the tip of a mature leaf. 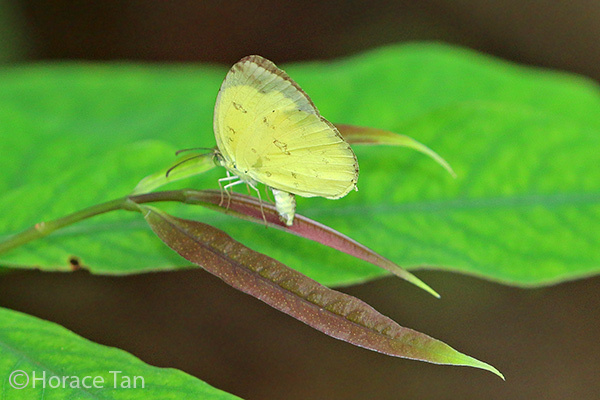 A female Common Grass Yellow laying an egg on a young leaf of the Yellow Cow Wood. An egg of the Common Grass Yellow found on a young leaf of the Yellow Cow Wood. 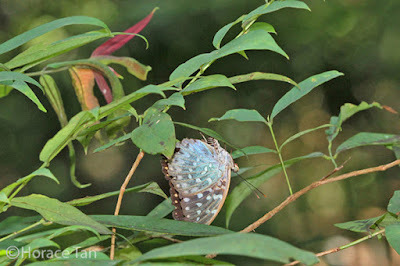 A female Archduke laying an egg on the underside of a leaf of the Yellow Cow Wood. 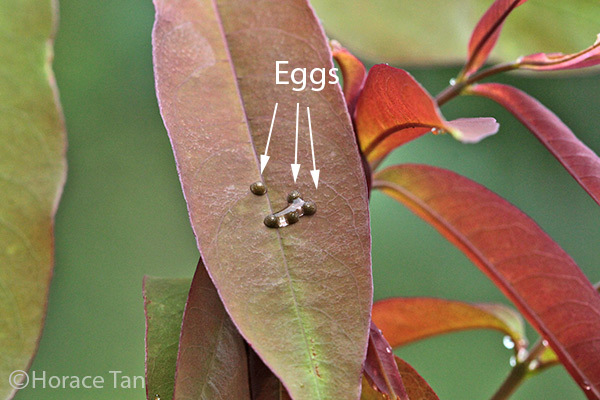 A cluster of six eggs of the Archduke found on the upperside of a young leaf of the Yellow Cow Wood. Caterpillars of the Common Grass Yellow feed on leaves on young shoots of the Yellow Cow Wood whereas those of the Archduke and Short Banded Sailor feed on the developing and mature leaves. 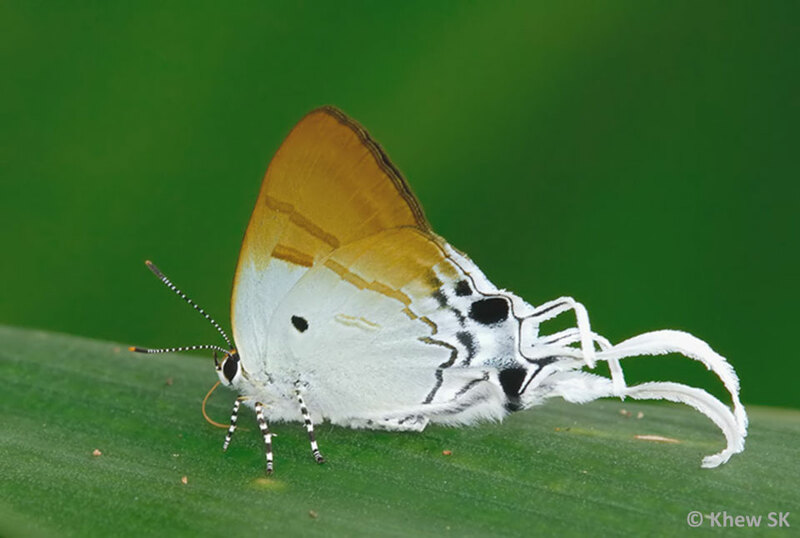 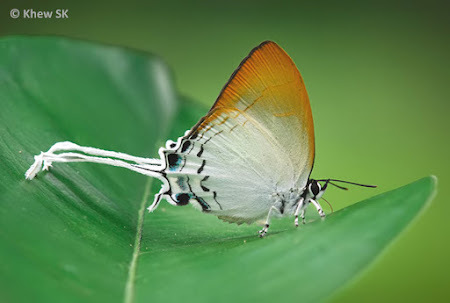 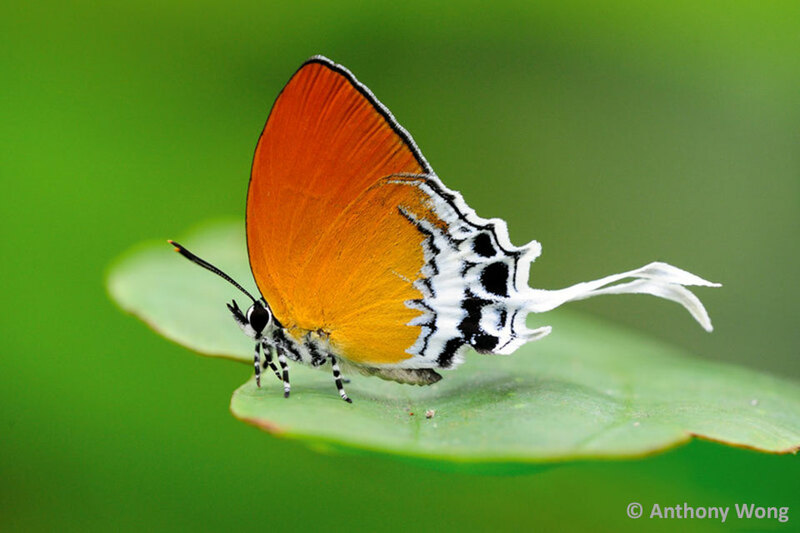 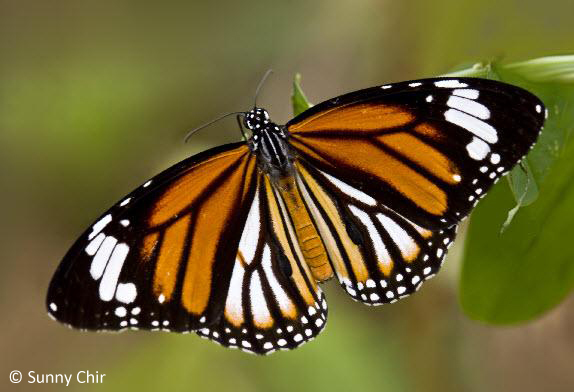 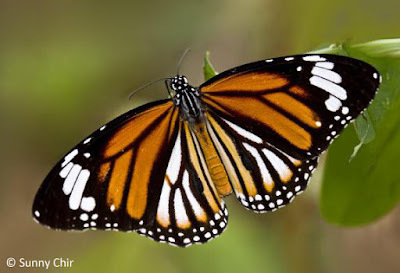 The early instar caterpillars of the Short Banded Sailor has the habit of feeding from the leaf tip, cutting and hanging leaf fragments as they munch on. A young caterpillar of the Short Banded Sailor resting at the leaf tip. Hanging leaf fragments can be seen further up. 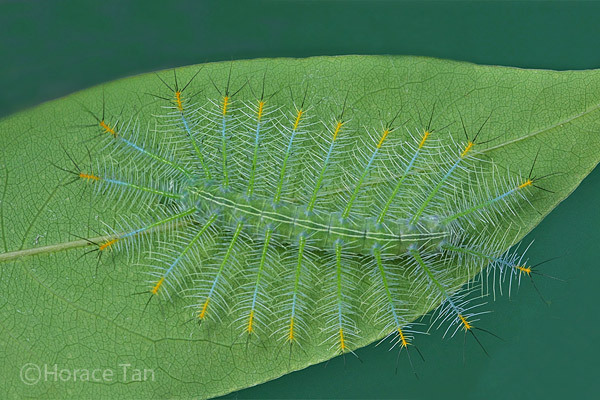 A final instar caterpillar of the Short Banded Sailor. 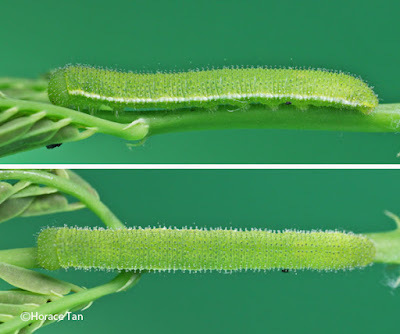 Two views of a final instar caterpillar of the Common Grass Yellow. 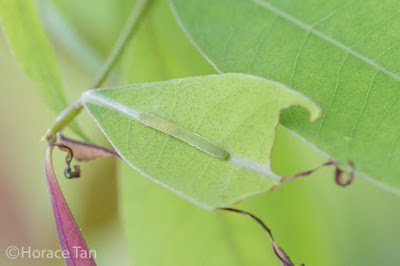 A caterpillar of the Common Grass Yellow resting on a leaf of the Yellow Cow Wood in an Eco Garden. 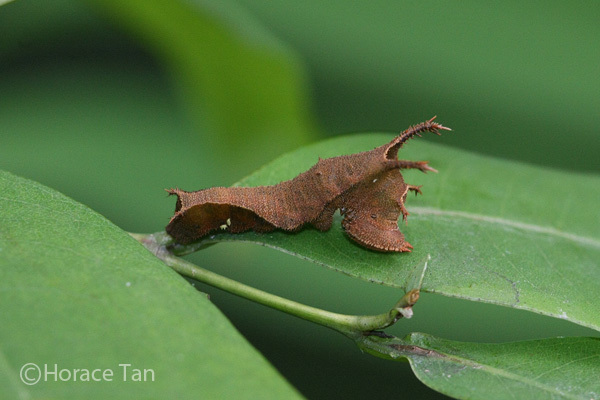 A later instar caterpillar of the Archduke on a mature leaf of the Yellow Cow Wood. 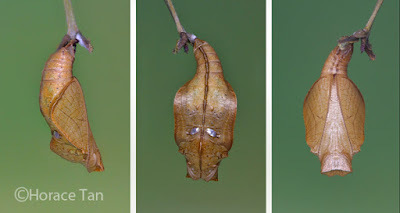 Caterpillars of the Common Grass Yellow and the Short Banded Sailor typically pupate on the underside of a stem, whereas those of the Archduke do so on the underside of a leaf. 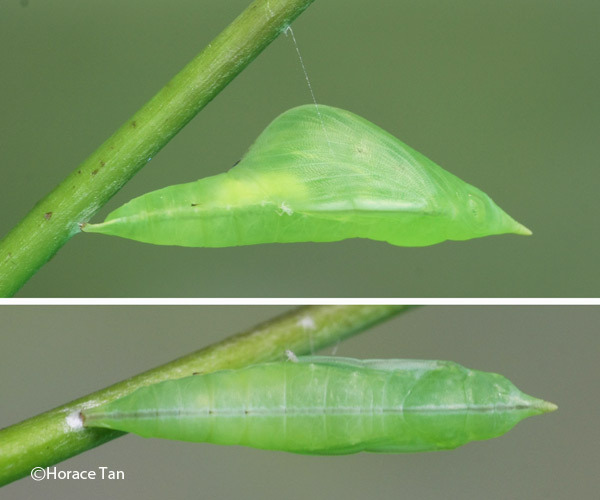 Two views of a pupa of the Common Grass Yellow on the underside of a stem. A pupa of the Archduke on the midrib on the underside of a leaf. 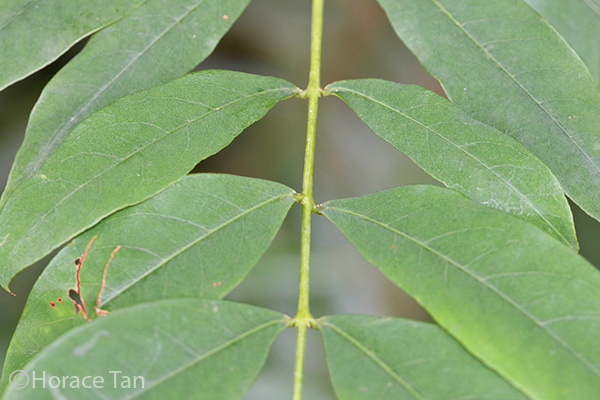 Nature Loves You - Cratoxylum cochinchinense. 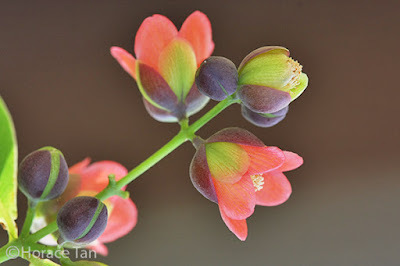 Useful Tropical Plants - Cratoxylum cochinchinense. 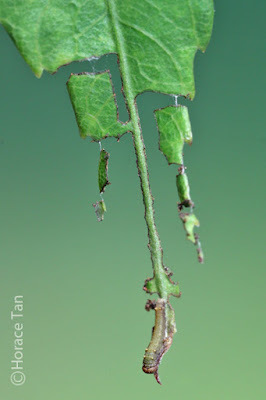 Caterpillar Local Host Plants: Cynanchum ovalifolium (Apocynaceae), Cynanchum tunicatum (Apocynaceae). 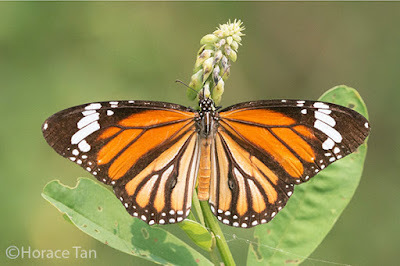 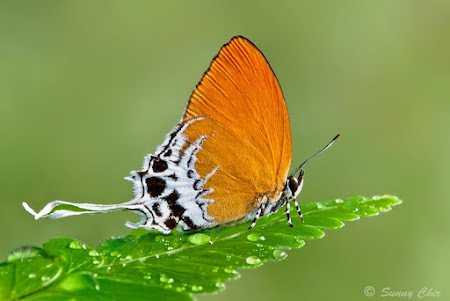 Both forms of the Common Tiger can be found in Singapore with form genutia being the more common of the two. 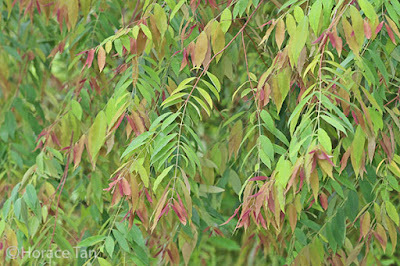 This species is typically found in urban or sub-urban areas where its host plants are available. The adults typically visits flowers and has a fondness for sap exuded by Crotalaria spp.